​Manchester United travel to Molineux to play Wolves this Saturday night, with a place in the FA Cup semi-finals up for grabs. The hosts have comfortably secured their Premier League safety, sitting in seventh place after an excellent draw at Stamford Bridge on Sunday. They can now allow their focus to switch to United and the cup, safe in the knowledge that they will be in the top flight come August. The Red Devils pulled off a remarkable comeback victory against Paris Saint-Germain in the Champions League last week, Marcus Rashford and Romelu Lukaku grabbing the goals in a 3-1 victory. Momentum and belief from that result may be slightly affected by a damaging loss at Arsenal four days later, but the players will remain in high spirits after their stellar form under Ole Gunnar Solskjær. Check out 90min's preview of ​the game below. Solskjær is currently managing an injury crisis at Old Trafford, with a host of first-team players having been missing over recent weeks. Of these, only Ander Herrera and Phil Jones are expected to be available for Saturday's match having recovered from a hamstring strain and illness, respectively. Jesse Lingard, Juan Mata and Antonio Valencia are major doubts for the clash as they continue rehabilitation for muscular problems, whilst Matteo Darmian will likely remain on the sidelines after picking up a knock. Alexis Sanchez will take no part in the game; he damaged knee ligaments against ​Southampton, with his return not expected until next month. Nuno Espírito Santo has no injury concerns for the tie and has a near full-strength squad to choose from. Centre-back Ryan Bennett is the only man unavailable, he serves the second of a two-game suspension after picking up ten yellow cards this season. Wolves​ Ruddy; Saiss, Coady, Boly; Doherty, Dendoncker, Neves, Moutinho, Jonny; Jimenez, Jota. The hosts have a woeful recent record in this fixture, winning just one of the last ten meetings between the two sides. That 2-1 victory came in 2011 and is only one of two that ​Wolves have recorded against the ​Red Devils this century. Despite this, Santo's players outplayed Saturday's opposition when they last met, leaving Old Trafford with a well deserved point in September. Fred had given his team the lead with a low drive in the first-half, but heavy pressure from Wolves eventually told when Joao Moutinho grabbed the leveller soon after the break. Things are more balanced over the course of the two clubs' histories; United have amassed a total of 48 victories against the West Midlands outfit in all competitions, going down on 34 occasions and drawing 17. Wolves have enjoyed an excellent start to 2019. They have taken 15 points from the last 24 available in the ​Premier League, launching them into contention for European qualification. They looked superb in the draw away to ​Chelsea and will look to replicate that performance against another top six side this weekend. Most important thing now is that Manchester United bounce back and make sure they beat Wolves in the FA Cup. Not an easy game, but have to show resilience. Solskjær's men have had an equally positive time this calendar year, only losing twice in all competitions. The result at ​Arsenal was the Norwegian's first domestic defeat since taking charge at Old Trafford and ended a run of nine consecutive wins on the road. He will wish to resume normal service at Molineux. United have clawed back an enormous deficit in the race for the Champions League and now find themselves a mere two points behind the Gunners in fourth. At the time of Jose Mourinho's departure the side were just a single point above Wolves; they have now stretched that to 14. Wolves will be targeting the FA Cup this season with no relegation concerns to distract them. Given the lack of supposedly stronger teams left in the draw, Santo will view this as an incredible opportunity to add a fifth FA Cup trophy to the club's cabinet. United will also be aware of how open the competition has become. It represents their best chance of silverware this year, though they also have a Champions League last-eight tie to look forward to. 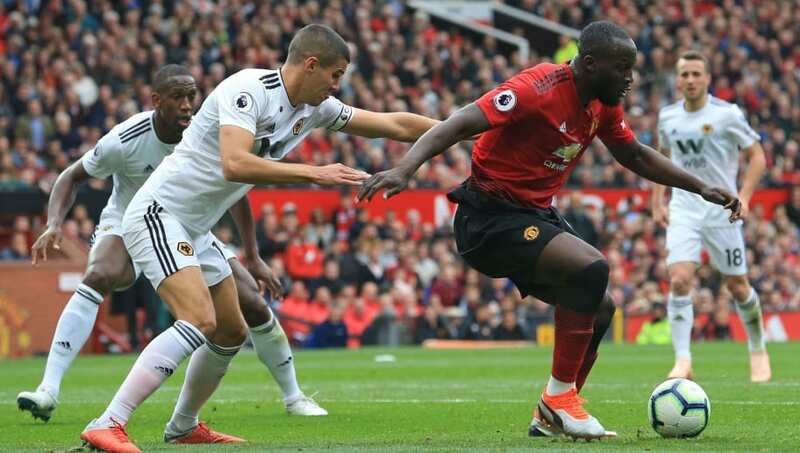 Home advantage should help Wolves in their efforts to stop this Manchester United machine, but they may ultimately be undone by the belief and confidence surging through this buoyant squad of players.